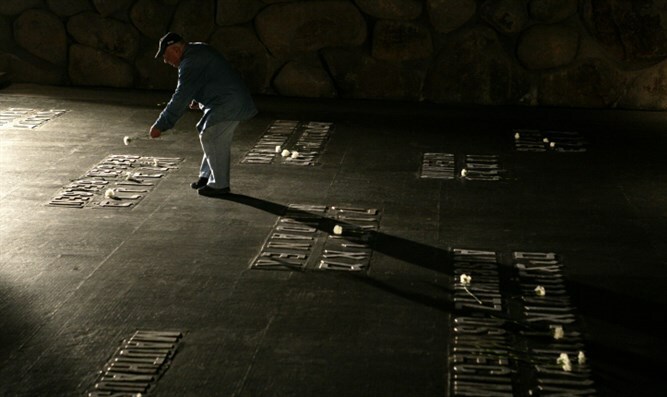 Croatian Jewish community to boycott country's Holocaust memorial in protest against whitewashing of World War 2 regime's crimes. Croatian Jews said Monday they would boycott an official ceremony on International Holocaust Remembrance Day this week, accusing authorities of downplaying the crimes of the country's World War II pro-Nazi regime. "We will not attend," said Ognjen Kraus, head of an umbrella association of Jewish groups in Croatia. "The authorities relativise the crimes committed by the (pro-Nazi) Ustasha regime," he told AFP. Last year Croatia's Jews, Serbs and anti-fascists boycotted the commemoration for the victims of the country's most notorious World War II camp at Jasenovac, also citing relativism and a resurgence in pro-Ustasha sympathies. "Nothing was done over the past year" to tackle the issue, Kraus said. The Ustasha persecuted and killed hundreds of thousands of Serbs, Jews, Roma and anti-fascist Croatians. Around 75 percent of some 40,000 Croatian Jews were killed by the Ustasha. The decision not to attend Friday's event, which is usually held in parliament, was also linked to a controversy over a memorial plaque with an Ustasha slogan that was unveiled in Jasenovac in November. The plaque was put up by former paramilitaries to honor their fellow fighters killed in the area at the start of Croatia's 1990s independence war. A similar plaque was later placed in another town, while a third was due to be put up in the capital Zagreb. Croatia's previous centre-right government, which fell in June last year, was accused by critics of turning a blind eye to a far-right surge in the country, including nostalgia for a pro-Nazi past. Conservative Prime Minister Andrej Plenkovic, who took over after snap elections in October, pledged to move away from extremism. Plenkovic apologised to those offended by the plaque, which was not removed, and said the issue showed a lack of an "adequate legal framework ... regarding totalitarian regimes". The Jewish groups' announcement came on the eve of an official visit by Plenkovic to Israel to discuss boosting ties, as the two countries mark 20 years since establishing diplomatic relations. Jews now make up less then one percent of Croatia's population of 4.2 million.